tropical landscaping and includes a putting green. are just steps from a large swimming pool and jacuzzi. answering machine, Free local calls, Ironing board and Iron. 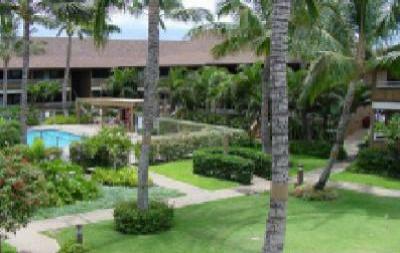 Rates Do Not Include a 12.42% Hawaii Accommodations Tax.